According to Minnesota officials, the gray wolf attack was the first incident happened on the Lake Winnibigoshish. Noah Graham, 16-year-old boy, was attacked and bitten in the head by a 75 pound gray wolf, according to report by WebProNews. The boy’s father Scott Graham said, "The wolf just came up behind Noah, he didn’t hear anything, and it just grabbed him by the back of the head and wouldn’t let go. He had to physically pry the jaws of the wolf open, to get it off of him, and once he got it off of him and he was up, the wolf stood there growling at him. And he had to shout at it and kick at it to get it to go away." The Department of Natural Resources, Colonel Ken Soring said, "Our records do not reflect that we’ve had wolf attacks like this in Minnesota." Colonel Ken Soring added, "It’s too early to speculate as far as the condition or the causes with this animal, but it is not characteristic of wolves to approach people." Noah Graham luckily survived but got 17 stitches in the back of his head and now recovering from the wolf attack. 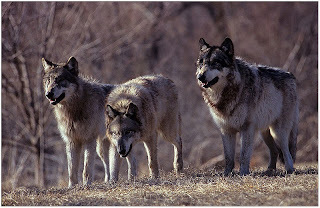 Comments or suggestions about "Teen victim of a Wolf Attack in Minnesota | First official gray wolf attack " is important to us, you may share it by using the comment box below.